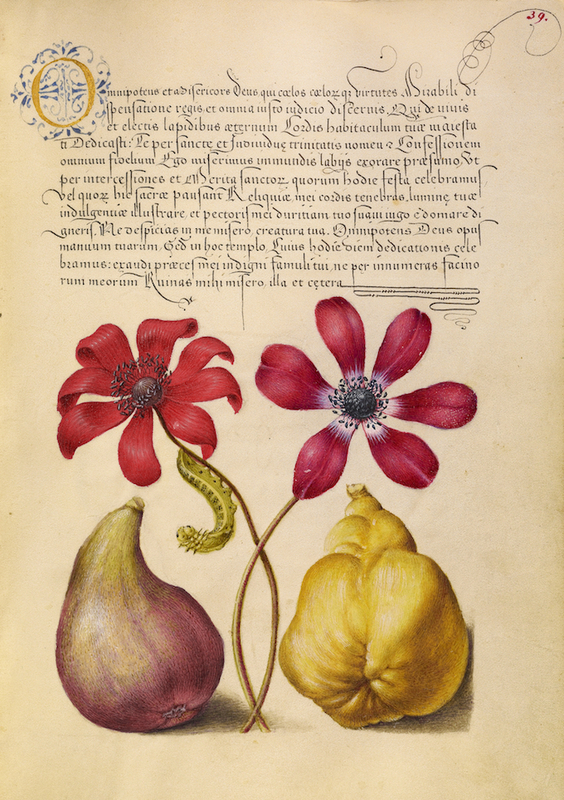 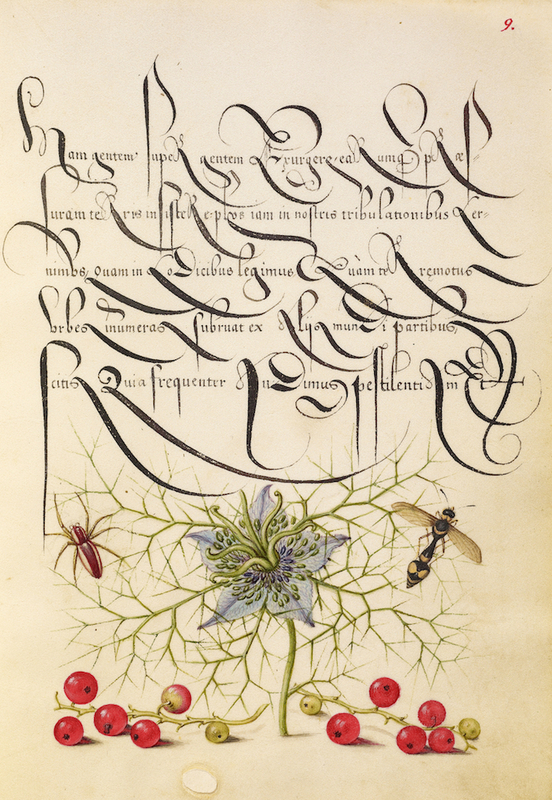 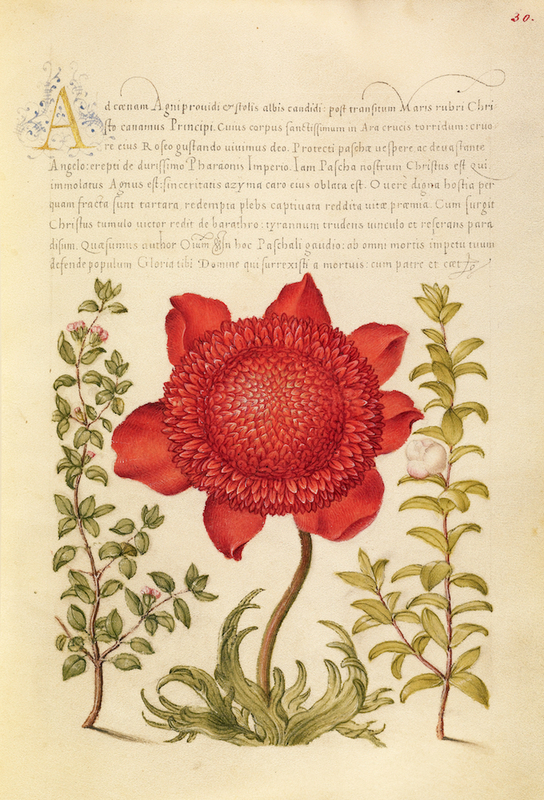 Pages from a remarkable book entitled Mira calligraphiae monumenta (The Model Book of Calligraphy), the result of a collaboration across many decades between a master scribe, the Croatian-born Georg Bocskay, and Flemish artist Joris Hoefnagel. 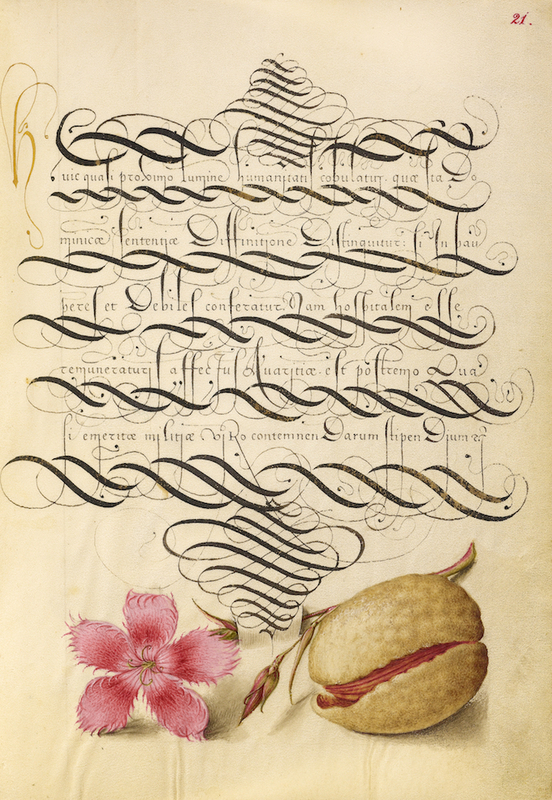 In the early 1560s, while secretary to the Holy Roman Emperor Ferdinand I, Bocksay produced his Model Book of Calligraphy, showing off the wonderful range of writing style in his repertoire. 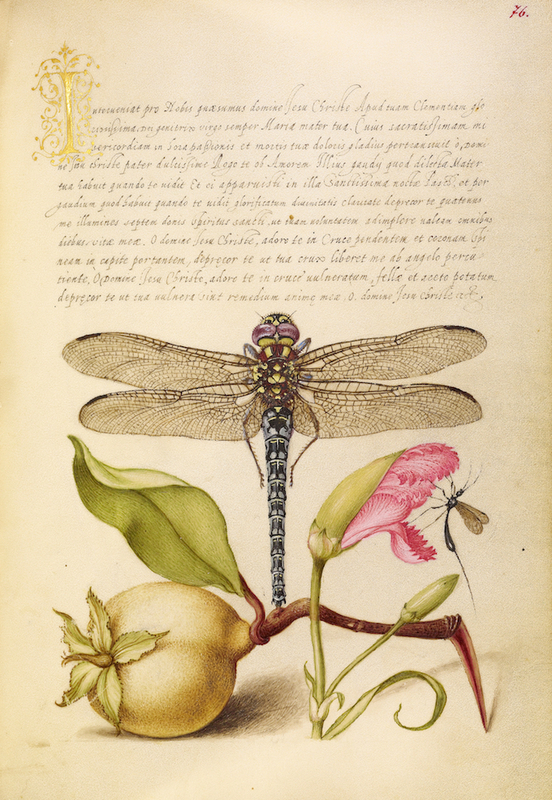 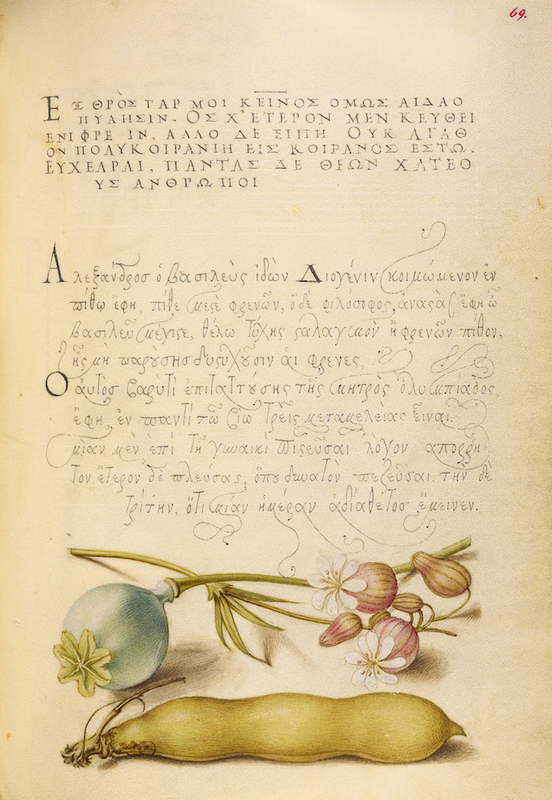 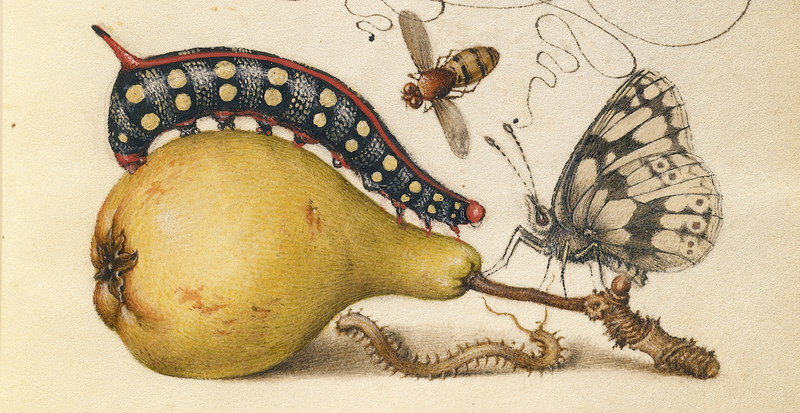 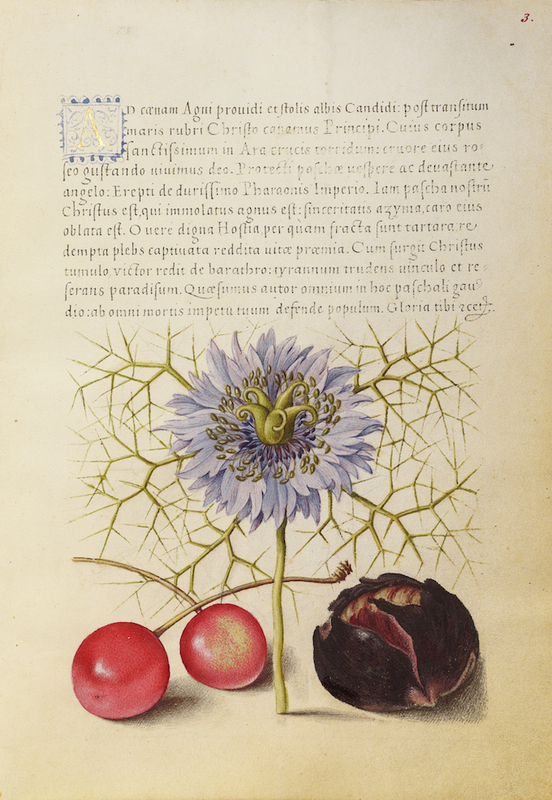 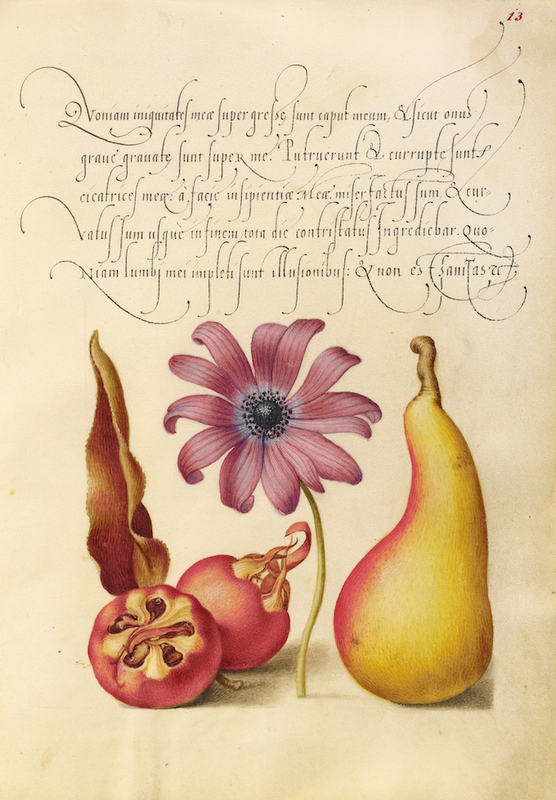 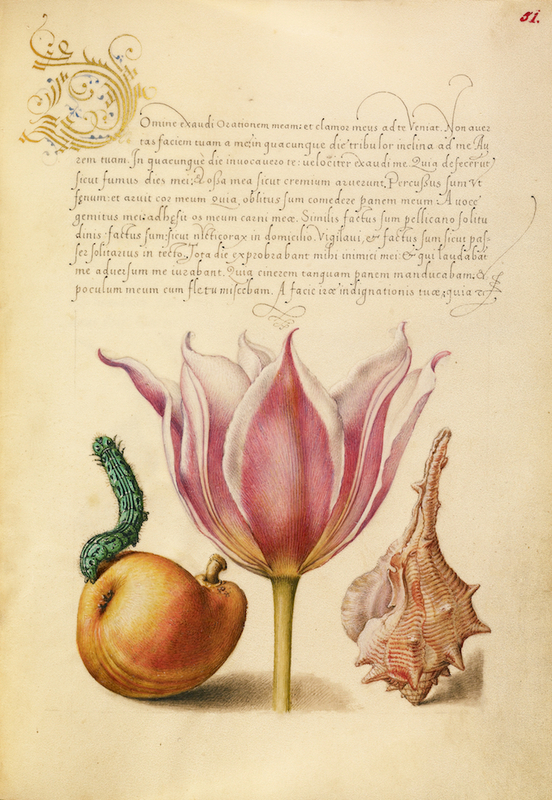 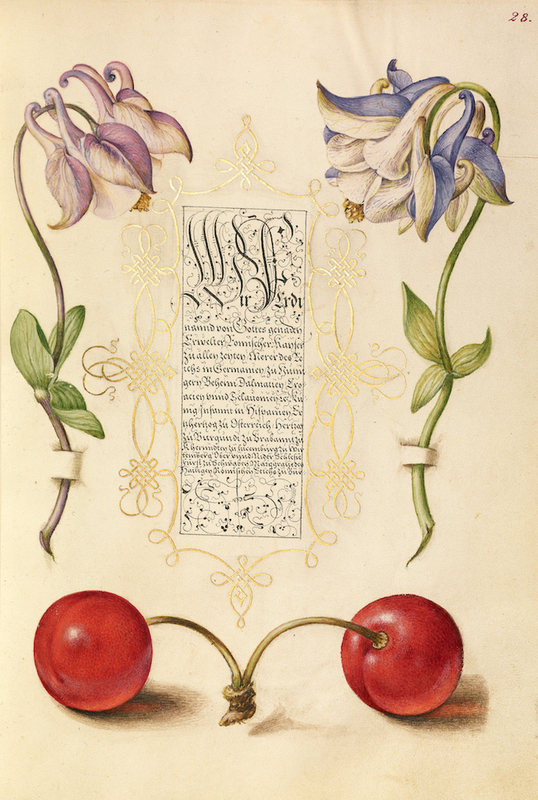 Some 30 years later (and 15 years after the death of Bocskay), Ferdinand’s grandson, who had inherited the book, commissioned Hoefnagel to add his delightful illustrations of flowers, fruits, and insects. 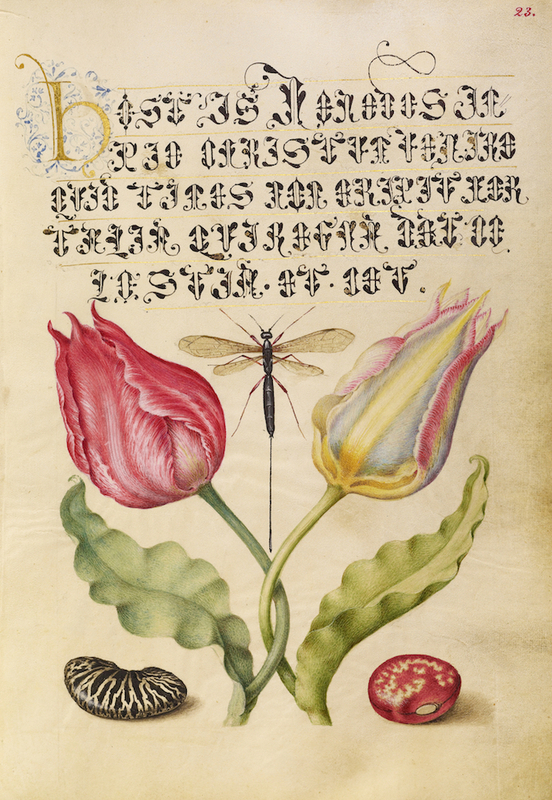 It would prove to be, as The Getty, who now own the manuscript, comment, “one of the most unusual collaborations between scribe and painter in the history of manuscript illumination”. 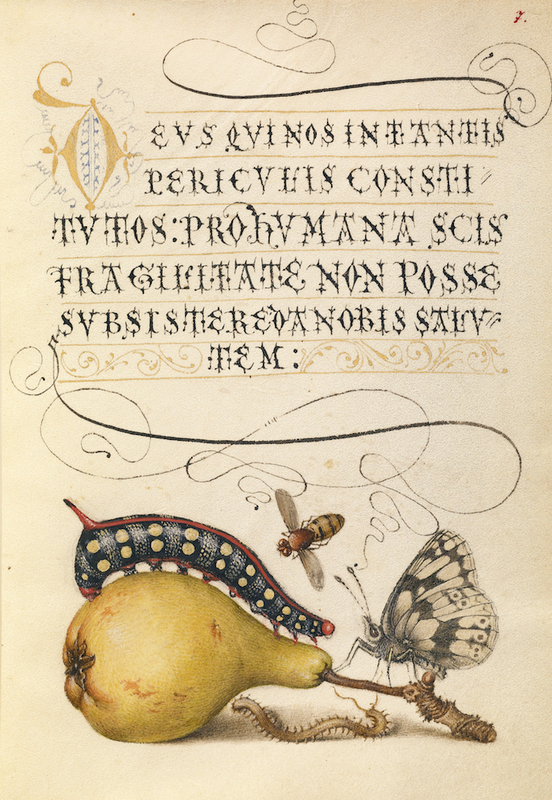 In addition to the amendments to Bocksay’s pages shown here, Hoefnagel also added an elaborately illustrated section on constructing the letters of the alphabet which we featured on the site a while back.